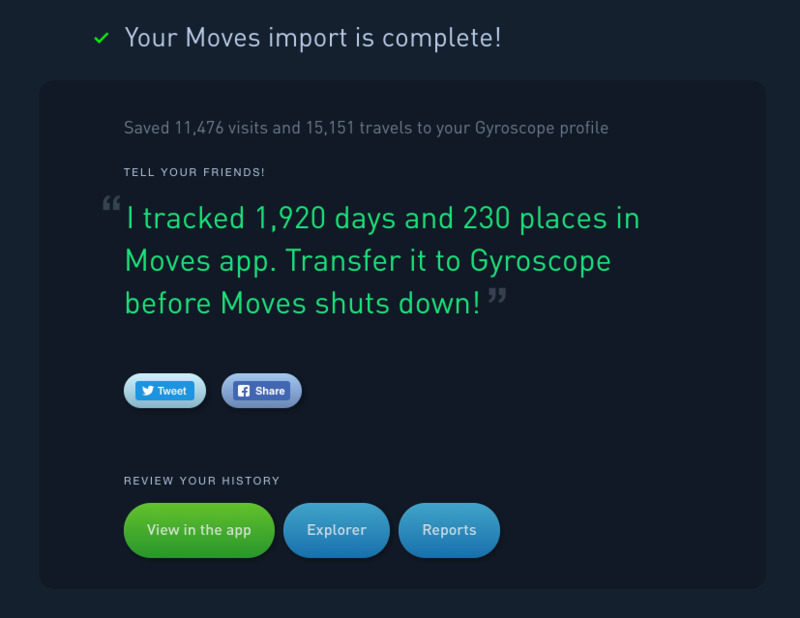 Gyroscope 2.0 introduces our new Places tracking, a better replacement for the Moves integration. Would you recommend Gyroscope 2.0 to a friend? Simple set up, wide array of features, visually stunning, just works, active Facebook Group. Occasionally locations are grouped as one stop if they are physically super close. 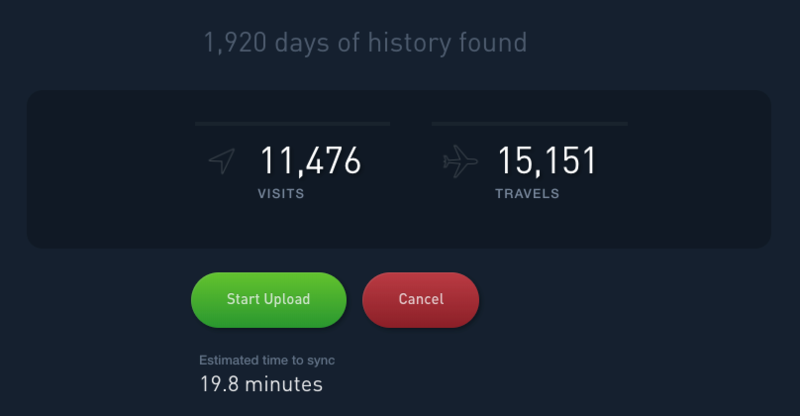 Going on 3 years with Gyroscope and it's one of my favourite apps! I particularly love using it when I travel. Not only does it provide a unique recap of the places visited, but visualizes it in such a unique and beautiful way every time! Henry Brown has used this product for one year. Integrates with Apple Health & RescueTime, looks amazing! Been using Gyroscope since '15 and I love it to bits. Really excited to see how the Places feature evolves, been using it in Beta for a while and it's getting better and better with each release. Radu Ceucă has used this product for one year. Perhaps the biggest feature of this release is the Moves import... which worked flawlessly for me! Scott Williams@scottwwilliams · President, Emisare, Inc. I have a question. I have everything connected to my google fit account: sleep data from "sleep as android", my meditation, my heart rate from miiband 2, etc. My question is: why don't you retrieve and use all that info from google fit, and why do you only get the step count from google fit? @aprilzero I understand. You should look to the example of exist.io. They get most of their information from google fit. But awesome product! Wish I could use it to its full potential! How does it track my sleep? My phone is usually docked at night. How are you dealing with Moves shutting down? Is there a replacement app for tracking movements? @jamesivings Yup! "Gyroscope 2.0 introduces our new Places tracking, a better replacement for the Moves integration."